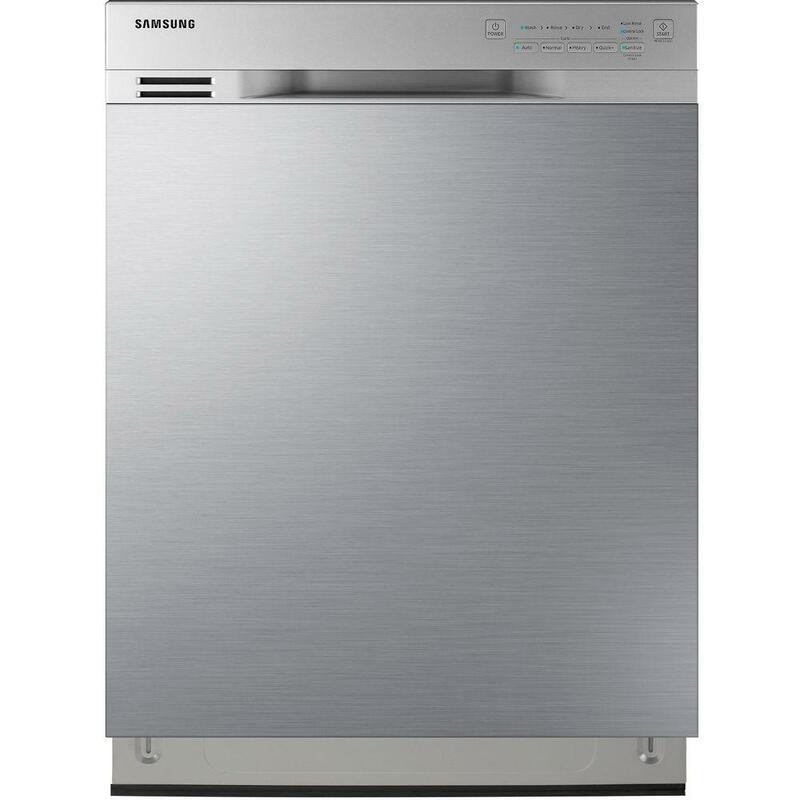 You can buy a great dishwasher for well under $699 and with great brands like KitchenAid, Bosch, Asko, and Samsung. This article is written in November during a Black Friday promotional period. Many of these prices are 20-30% off. The best time to buy an appliance is during one of these promotional periods like President's Day, Memorial Day, Labor Day, and of course, Black Friday. Here is another tip for you: Black Friday prices start November 1st and will continue until the end of the month. You no longer have to wait in line on Black Friday. You can have the same prices now. Appliances have become more promotional like electronics in that regard. First, I will show you the differences between American and European dishwashers. Then I will show you a few incredibly discounted dishwashers. American dishwashers have a large capacity. 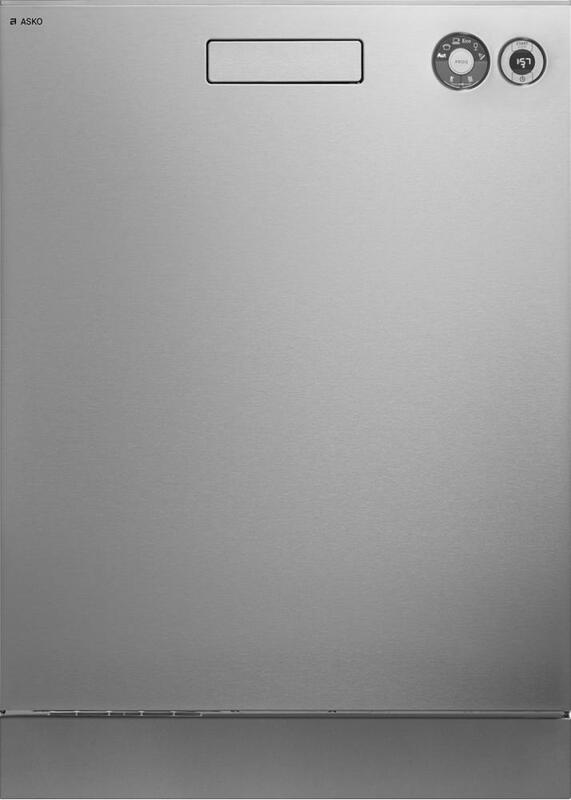 The door will protrude 2-3 inches from a 24-inch deep cabinet to accommodate a greater capacity than many American-style models. European dishwashers will sit flush in a 24-inch deep cabinet. This is an attractive feature because the door will not protrude from the cabinets. If you are placing a panel on the front of your dishwasher in a 24-inch deep cabinet, I would strongly advise you to choose a European model. With a European dishwasher model, your cabinet door will line up with your remaining cabinetry. American dishwashers usually use a heated dry cycle. The heated dry cycle is a coil at the bottom of the dishwasher designed to heat the air inside the dishwasher to dry the dishes. European dishwashers use less energy and water than American dishwashers. On average, the European dishwasher will use 3.5 gallons of water per cycle, European dishwashers use condensation to dry the dishes. Hot water from the cycle will stick to the stainless steel sides of the dishwasher. The dishwasher does not use any energy to heat the air in the dishwasher to dry dishes. European dishwashers are known for being very quiet. They are quiet because they have a filter at the bottom of the dishwasher designed to catch food particles instead of a hard food disposer like some American models. Note: More and more American models are moving away from having a disposer on the bottom and using a filter like the European dishwasher. Bosch is a dishwasher company and operates the largest dishwasher manufacturing facility in the world in North Carolina. They have a stainless tank and are amongst the quietest dishwashers produced at 44 DBs. This dishwasher is still slightly more than $699 with $50 in rebates, however, we wanted to include it because it's an awesome dishwasher to consider. It has similar features as the model previous but adds a third rack for silverware. You have a dedicated space for silverware and more room in the dishwasher without the basket. Samsung has been around for over 70 years as a company. They are always trying to infuse their appliances with the top of the line tech to improve the quality. This model has all the major cycles and features "Storm Wash" or a series of highly concentrated jets for baked on dishes. Asko is quiet but is known for their all stainless dishwasher including all stainless arms and solid rust resistant graphite racks. This is the lowest price for a KitchenAid dishwasher since they started making KitchenAid dishwashers. It has all the major cycles: Pro Wash or an extended wash with soil sensing, china cycle at a low temperature to not harm your fine china and three different rinse/dry options. This dishwasher is loaded at $549. 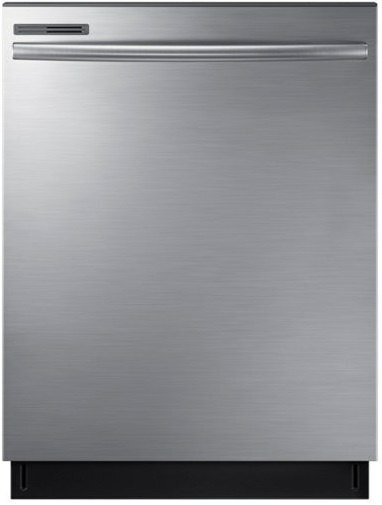 This could be the lowest price for a stainless tub dishwasher. It is the only dishwasher with a plastic tub plastic tub on this list, but it has all your major cycles for only $319. What dishwasher would I advise a client to go with? It depends on what features you like. Are you looking for a flush look and a stainless interior? I would suggest the Bosch or Asko. Aesthetically the dishwasher will not stick out from the cabinetry and fit flush in a 24-inch deep cabinet. Is drying a major factor in your dishwasher purchase? I would suggest the KitchenAid or Samsung. All have an exposed heating element on the bottom of the dishwasher which aids in the drying process. Bosch and Asko use steam from the washing along with Jet Dry. That KitchenAid at $549 has all the features you need. A third rack is a good option at $599 for either the KitchenAid or Bosch at $669. Samsung does not have a pedigree in dishwashers like they do in refrigeration. Still, $319 is a decent price, especially in a rental. There are plenty of good dishwashers under $699. 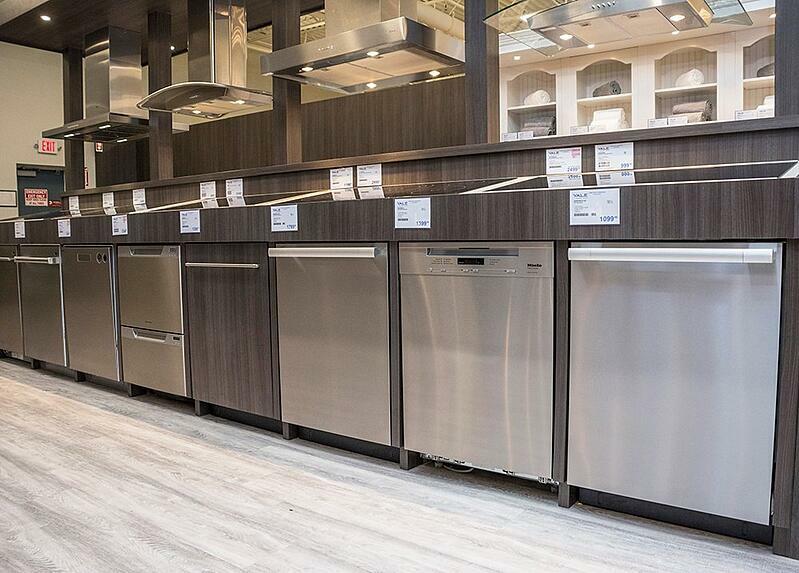 Just be mindful of rebates as most of these dishwashers will be over $699 after November. Get our free Dishwasher Buying Guide with tips, trends, and reviews of all the major brands. Over 220,000 people have already found answers in a Yale guide. Eric is an Appliance Sales Consultant at Yale Appliance and Lighting. Eric came to sales from the custom installation department and has expert insight on what happens behind the scenes. He is devoted to making sure every customer has the best experience that Yale has to offer. Eric grew up in Maine and loves the outdoors, from fishing to dirt biking.